This is the first World Cup since 1998 that I have not won the “office and friend pool” World Cup Predictor Bracket. I just want to throw that out there. I won the last 3 – and although not a large group – it’s still a streak I was proud of. Back in early June I picked Germany to meet Argentina in the final — but I thought the Germans would struggle and lose. 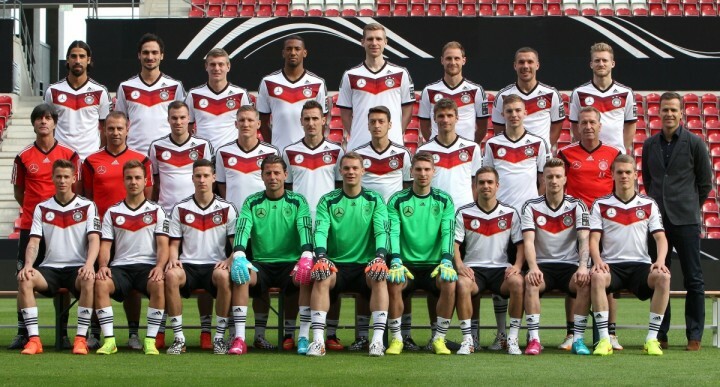 Remember, this is a national team that – until today – had lost more finals than they had won. And I figured that they would struggle to win a world cup final in Brazil. Boy am I glad I was wrong! 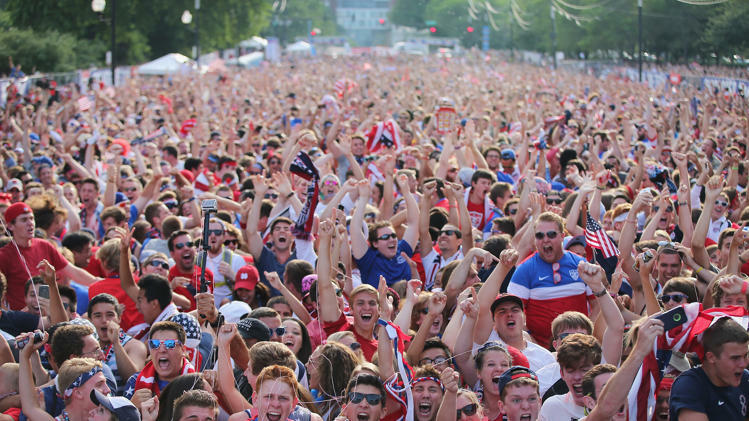 The streak I didn’t think would end has finally become a thing of the past: A European soccer team has traveled to the Western Hemisphere and won the World Cup trophy. It was a nerve-racking final game. Argentina was missing one of their best attackers (Di Maria) and Germany was missing the midfield excellence of Sami Khedira. Honestly, I thought that both teams struggled for long periods of the game due to these missing players who have played such an important part in the other games. I thought Brazil was a bit lucky to get this far. In my opinion they made a terrible team selection from the outset. Their coach chose poor strikers. Fred and Jo were abysmal. I’m betting that almost anyone could have been as dangerous as Jo was on the pitch, and I’m sure we all could have fallen over as many times as Fred did in the penalty box. The team was missing a wise head in midfield. While they had Neymar they were dangerous – yes – but he was mostly dangerous due to his dribbling skills and speed. He was more of a dribbling-to-be-dangerous player, only combining with others when forced to. In the early rounds he often chose to “go it alone” rather than combining with teammates to create a simpler path to goal. They needed someone like Kaká to keep possession in attack better, and they should have played Willian a whole lot more. And their defenders — what is there to say? David Luis heading a ball back onto his 12 yard line for the Dutch to hammer home instead of just hitting it out of bounds? Seriously!? Even young American defenders know not to do that! Maicón was guilty of some of the worst defending a World Cup has ever seen. Cafú – the legendary Brazilian right back – was probably dying watching Maicón struggle out there. The Brazilians seemed content to let their defenders smash 60-yard balls down the field “Chelsea-style” to pick out their forwards. No Brazilian team of the past has played this way. It was both parts hilarious and sad to behold. Holland gave us one of the treats of the World Cup, dispatching a woeful Spanish side in the early rounds. But as the competition became more difficult, they struggled to score goals. They got a bit lucky to score 2 against Mexico. But then they went two full games plus two extra times and couldn’t score a goal against Costa Rica or Argentina. 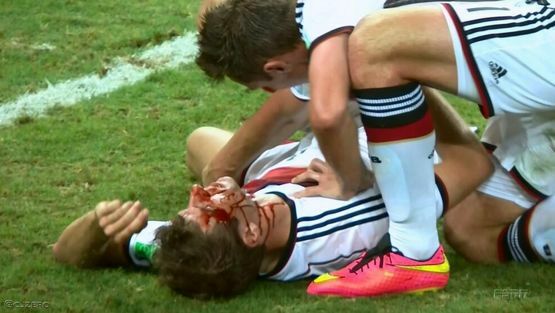 This is not the usual behavior of a World Cup winning team. Of course once Holland faced Brazil’s porous defense, they re-discovered their goal-scoring form, winning 3-0. Which just goes to show how bad Brazil’s defense was. Overall – Holland’s defense was great. They did a great job shutting down Messi in the semi final. The great Lionel Messi was hardly noticeable on the pitch. Ron Vlaar especially had some great tackles taking the ball away from Messi in multiple one-vs-one situations. After the opening round, Holland only gave up one goal over 3 games. Offensively they relied too much on Arjen Robben’s dribbling. Sneidjer wanted to combine with people — and when they did combine thru the middle — they did create chances. But more often than not, in the knock-out rounds, they would pass the ball to Robben and rely on his dribbling to break down the opponents. Honestly – how much combination play does Robben do? Hello…. total football anyone? The “dribbling plan” almost worked. (And it did save them against Mexico.) 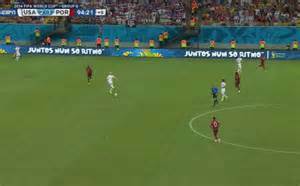 There were two times against Argentina when Robben beat the defense and could have passed the ball to another player to score. But no! 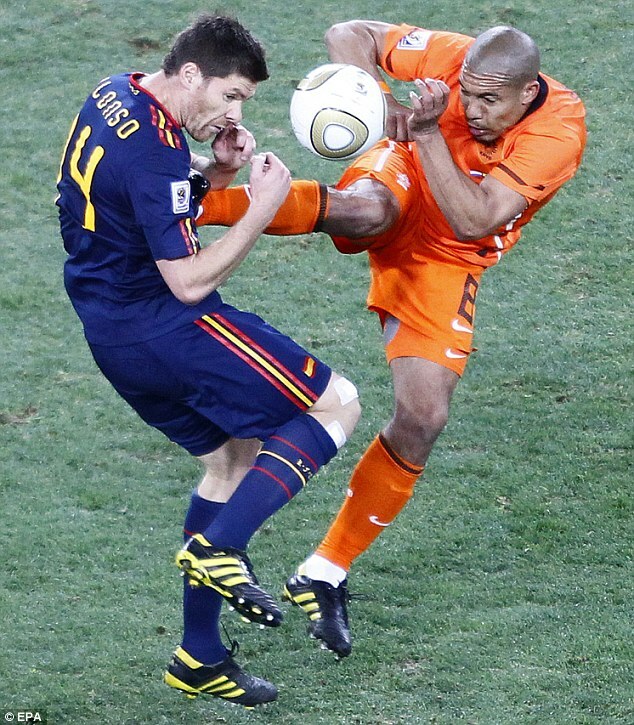 The curse of Robben and his desire to take his extra touches doomed the Dutch again! Against Argentina, Huntelaar was twice left waiting for a pass in front of an open goal to win the semi-final. But Robben took an extra touch, Mascherano made the game-saving tackle, and the chance was lost. And finally, it’s difficult to fault a ‘keeper about losing a penalty shootout – but didn’t it look like some of those Argentinian penalties were saveable? Tim Krul made some big saves against Costa Rica — where was he when they needed him? Argentina never looked like hitting the highs of their 1986 triumph. To me they were mostly a one-man team in terms of creating anything on offense. In the knock-out round, Argentina needed extra time against the Swiss — the same Swiss team that the French put 5 goals past. 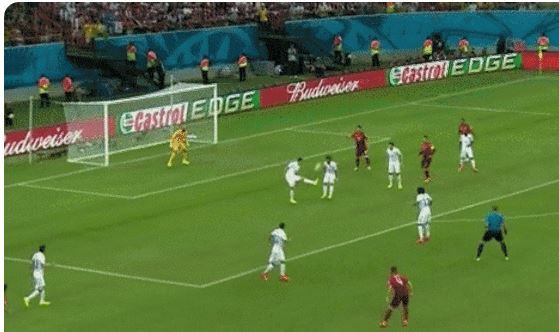 Messi juked through some defenders and laid off a slide-rule pass to Di Maria to win the game. In the quarterfinal an accidental deflection put the ball onto Higuaín’s foot for a nice first-time finish, but it’s not like Argentina broke down Belgium’s defense. In the semifinal Messi was shut down by Holland’s excellently strong and fast defenders, and — tellingly — Argentina again struggled to create scoring chances. Argentina’s best chances to re-discover their goal scoring came against a slow (Howedes) and injured (Hummels) German defense in the Final — and even though they were gifted with multiple one-vs-one chances, they could hardly put a shot on goal. Overall, they were a very organized team defensively. They were difficult to break down and the goal keeper made some great saves. Offensively, Lionel Messi wasn’t nearly as dangerous as I had feared he would be. He scored some great goals in the early rounds, but unlike Diego Maradona, he didn’t deliver much as the competition wore on. In 1986, Maradona scored or assisted 5 of their last 7 goals in the quarters, semis and final game. On the other hand, Lionel Messi didn’t score after the opening group games, and notched one solitary assist. You would think that with the fearsome attacking talent of Gonzalo Higuaín, Sergio Aguero, Di Maria and Messi they would have scored more goals, but I believe they didn’t because they focused their play too much through one player rather than interchangeable combination play. What is there more to say than the best team won? Germany survived Algeria and realized that their defenders were too slow. So they subbed out Mertesacker (finally!) and took care of France in the quarterfinals in a snooze-fest. I’m not sure how many dangerous attacks France created after going down 1-0, but it wasn’t many. The semi-final against Brazil was over even before Neymar’s injury and Thiago Silva’s suspension. I predicted Germany’s disciplined attack would be too much for the free-wheeling Brazilians over a month ago. I just didn’t realize how bad it would be! And it could have been worse!! Some say Mezut Ozil purposefully shanked his shot wide towards the end of the game because as he approached — he saw the Brazilian goalkeeper crying and he felt bad. Some say…. The same problem affected the Germans that often does — they are missing a true goal scoring threat. The fact that the Germans won the World Cup with a 36 year old striker leading the line, missing their (possibly?) most influential central midfielder (Sami Kehdira), and had an injured center-back (Hummels) that played despite a knee injury shows how much of a team they truly had. I believe the Germans were victorious because of the way they focused on playing combination football, with lots of diagonal runs, triangles and intelligent attacking movement off the ball to break down their opponents. They didn’t have their best attacking player in Brazil, so they had to rely on true team attacking football. Germany’s best striker, Marco Reus, tore ankle ligaments in a warm up right before the world cup and was unable to attend. If Reus had come to the World Cup, I can only imagine what would have happened to Brazil that night! The final wasn’t the best game for Germany – they struggled to break down an organized and motivated Argentinian defense. And they were lucky that Argentina couldn’t score goals. Argentina were lucky that Germany hit a post and missed multiple open shots on goal from inside the penalty box. 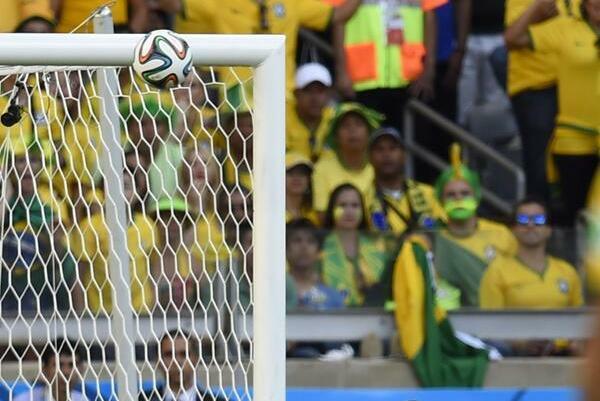 Argentina had multiple one-vs.-one with the German goalkeeper, but quailed each time at the crucial moment. In the end, the difference was that German striker Mario Goetze took his chance where the Argentinian strikers did not. And what a goal it was!! What are your thoughts? Was FIFA right in giving Messi the “best player in the tournament” award although he scored no goals after the opening round and registered one single assist? If not, who was better? 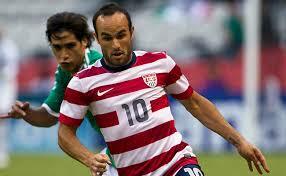 We sure missed Landon Donovan today against Belgium. Who would be a better late-game substitute – Landon or Wondolowski? Remember Landon scoring this wonderful injury time winner to help us win our group stage in 2010? You know, our nation’s record world cup goal scorer? Still in his prime and scoring plenty of goals? …and we couldn’t get the shot on frame. We missed the goal completely. Landon, where were you when we needed you most? Just thought you might like to know what our entire nation is thinking right now. Good job getting out of the group stage with a win. 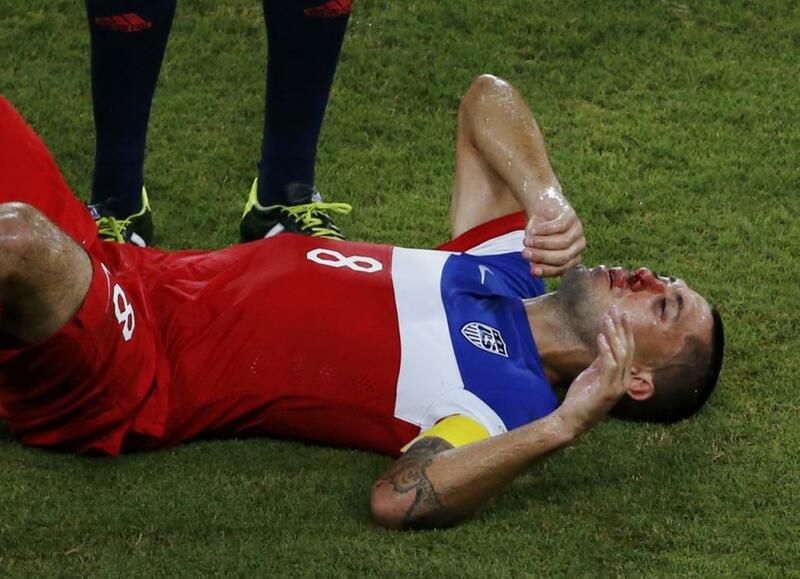 But you blew it on your decision to leave Landon Donovan behind. What’s wrong with sorry England? England is out of the world cup having lost their first two games. Why are they so bad as a national team on the world stage? The British love to tell us that the Premier League is the best league in the world, but it must be due to all the foreign transplants. 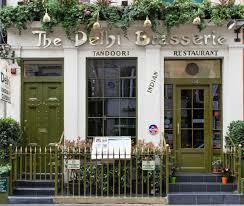 I guess the foodies in London figured out the same thing regarding the London restaurant scene long ago. The English squad doesn’t have the midfield play to compete with the world’s best teams. Watching Costa Rica (a nation with the population of Northumbria) vs Italy was amazing to behold when compared to how England played Italy. 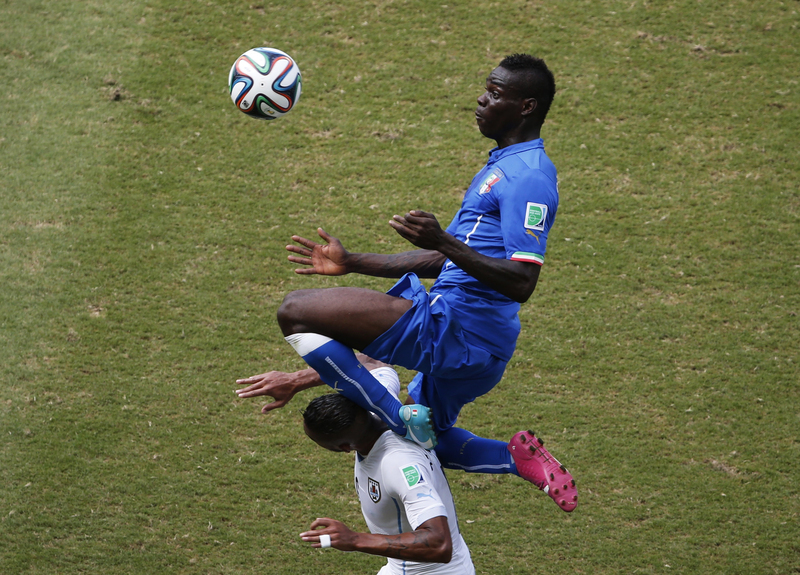 Costa Rica’s midfield was dynamic and tricky, combining to great effect – something England could never conjure. There were so many times in the first half of the England v Uruguay game that 6 field players were behind the half-line in a sort of double defensive line, Gerard with the ball at his feet, wondering which wing to pass it to. Of the other four outfield players — two were up front being marked by five defenders, and there was one on each wing. The midfield was completely bereft of English jerseys. When England did get the ball rolling through midfield, their play was straight forward and predictable. Can anyone cite a time when an English midfielder feinted one way, spun, and switched the field of play? Or a time there was one ounce of trickiness or guise in their play? Other than Sterling, what did England have? Once Lallana and Barkley came on in the second half things started to pick up for England a wee bit, and it was instantly obvious that Lallana had come to play, but it was a case of too little too late. In today’s game against Costa Rica, it was a case of the “same old boring England.” There were multiple opportunities that Sterling created going forward. Sturridge showed neatly from the center forward position, and then… what? All of Costa Rica knew what was coming next. 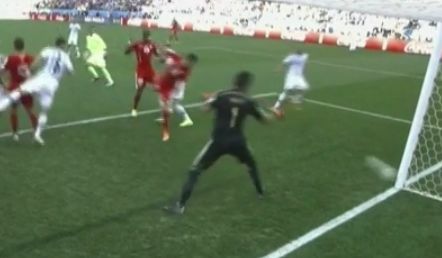 Everyone in the stadium and homes around the globe knew that Sturridge would try a one-two pass with Sterling. The only reason I didn’t get there first from my couch was because I was crowded out by the 5 Costa Rican defenders who beat me to the ball. Do you know what a Uruguayan or Costa Rican midfielder would have done receiving the ball that Sturridge got? He would have feinted the pass to Sterling, and switched play to the completely wide open midfielder on the other side of the pitch. There was no one within 20 yards of the player. This happened over and over and over for the English. England’s play — even when their passes were clicking and connecting — were so straight forward that the other teams’ defense had plenty of time to read and adjust. Remember Pirlo’s dummy that set up Italy’s first goal? All of England was fooled. When did England’s midfield fool anyone? When Costa Rica played Italy their midfielders twisted, feinted, turned and passed their way through the Italian midfield time and time again. They would flood an area with 3 or more “middies” and then make triangles through the Azzuri in ways England couldn’t hope to do. Yes, England created chances. And truly, I believe they were a bit unlucky to lose to Uruguay. Rooney had one against the crossbar and an open look at the ‘keeper from 8 yards that he couldn’t convert. They were a bit unlucky. But their true problem is that they struggle to control games and impose their will without better midfield play. And what of the goals they conceded? Balotelli getting a header at the far post? On a cross like that? Isn’t defending crosses England’s bread and butter? Do we need to bring in some Scottish consultants from Rangers or Celtic? You know, people who see crosses all day, every day? How is this possible, England? And I love/hate the goal worked by the Suarez / Cavani combination. It was a 2 vs. 6. As in 2 strikers against 6 defenders. And a goalie. Who do you think should win? How is Glen Johnson standing so far off Cavani when there were literally 3 layers of defenders behind him? Go. Put. In. A. Tackle. Forgoodnesssake! Make him pull it back. Put him under pressure, suffocate him. Even if you miss, there are 3 more of your mates behind you. Do something other than give him time to pick out a perfectly weighted chip onto Suarez’s head. If I’m an English coach, I’m going to take that video clip to practice tomorrow. I’m going to show my team how 2 strikers with feints (Cavani) and clever running (Suarez) can beat 6 defenders. And start training them now so that this doesn’t happen to them in 2022.